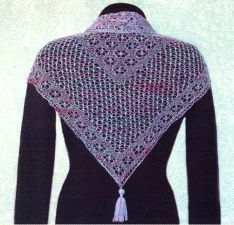 The triangular Daisy Meadow Scarf is 46 inches along the top edge and 32 inches along each side. The rectangular Rippling Waters Scarf is 12 inches by 48 inches. 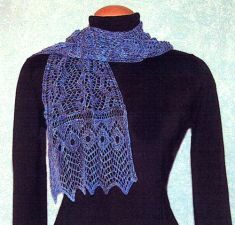 The pattern set contains patterns for both scarves.